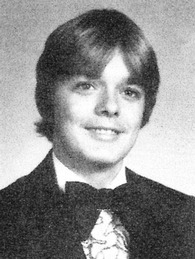 Gregory A. Brooks Gregory Allen "Greg" Brooks, 51, of Spotsylvania County passed away Monday, Sept. 10, 2012, after a battle with cancer. Survivors include his mother, Ann Stephens and husband Danny; father Roger Brooks and wife Lois; son Corey and wife Tara; grandson Chase; daughter Amy; his children's mother and good friend, Sharon Owens; sisters Kim Cahall and husband Leonard and Debbie Rizzo and husband Paul; brothers Keith Brooks and wife Laura and Jeff Brooks; four nieces; two nephews; and numerous aunts and uncles. Greg also leaves behind his best friends, Delma and Debbie Armstrong and Junior and Linda Graninger. The family will receive friends from 6 to 8 p.m. Thursday, Sept. 13, at Covenant Funeral Service, Fredericksburg. A funeral will be held at 2 p.m. Friday, Sept. 14, at the funeral home chapel. Interment will follow in Sunset Memorial Gardens. In lieu of flowers, memorials may be made in memory of Gregory A. Brooks to Kimberly Cahall Savings Account, BB&T, 4630 Mine Road, Fredericksburg, Va. 22408. &LT; SIGN IN HERE &GT; to add a tribute to Greg.